William Shatner, as the "Priceline Negotiator," helped put Priceline on the map in 2012. Though the character has since met a sad, noble end, Priceline still offers great deals on hotels, flights, vacations, rental cars, and even cruises. Read on to learn more, plus some money-saving tips you shouldn't ignore. Priceline is an OTA (Online Travel Agency). It automatically arranges the best travel deals based on your needs. Unlike "metasearch sites" like Google Flights or Kayak, Priceline lets you book directly through the site, rather than redirecting you to the provider. The platform bases its model on selling hotel rooms, cars, or flights that haven't been booked for a certain date. Airlines and hotels lose money when their amenities go unused. It's in their best interest to sell them at a reduced rate versus letting them sit unoccupied. Priceline has a membership program that will get you exclusive deals, additional discounts, and other perks. It's free to sign up on their website. Priceline is known for its "opaque booking" features. You can get huge discounts, but you won't know exactly what hotel/flight/car you'll get until after you pay. The site offers two tools: "Name Your Own Price" and "Express Deals". Name Your Own Price Tool: This features only exists for hotels. You submit the price you're willing to pay. The hotel then accepts your offer or turns it down. Express Deals: Flights, hotels, and rental cars all have "Express Deals." These will offer you low rates, but you won't know the exact flight, hotel, or car you'll be getting. Keep reading to learn more. Priceline also offers a "Best Price Guarantee". If you find a flight, hotel, car rental, or cruise with the exact same itinerary for a lower price, the site will refund the difference. If you find a better price with the same itinerary after buying an Express Deal, they'll refund you 200% of the difference. You can't use the elite statuses you may have through hotel/airline/rental car companies when booking with Priceline (Priority Check-In through United Premier status, for example). 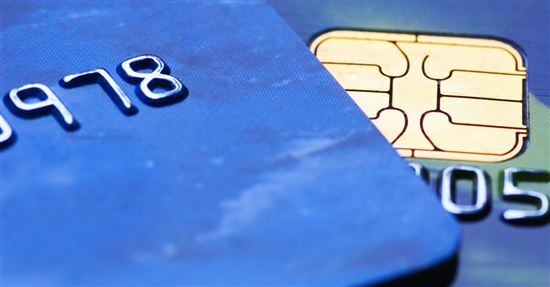 You probably won't earn any airline/hotel/rental car rewards points, either. It's always worth cross-checking your Priceline deal with the provider. For example, if Priceline offers a Delta flight, go to the Delta site and see if they have that flight for the same price. If so, book directly through Delta to earn the points. And always book with a credit card that gives bonus points for travel. 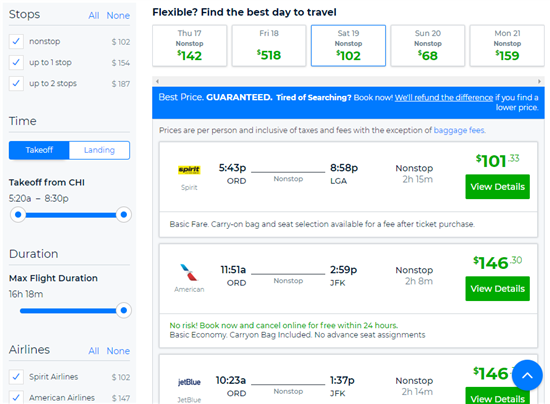 Priceline's website makes it easy to search for flights and filter the results. On the website home page, click on the "Flights" tab. Enter your departure city, destination city, and dates. Select round trip, one way, or multi-city. Priceline then gives you options from (almost) all of the airlines' websites so you can compare prices. Use the filters on the right-hand side to tailor your search by airline, timing, number of stops, and flight duration. 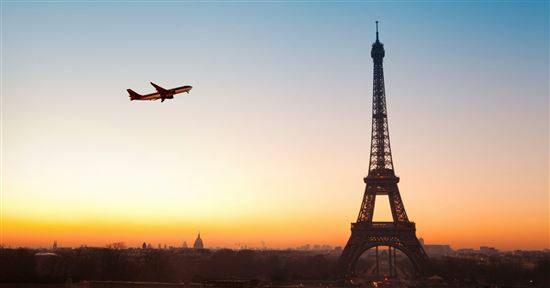 Select the flight you want and pay right on Priceline's site. It's important to note that the price you see on the site isn't always the whole price. Low-budget airlines like Frontier and Spirit include extra fees for things like bags (checked AND carry-ons) and seat selection. The same goes for checked bags fees on airlines like United or American. You'll need to pay for those things after buying your flight. Keep reading to see how Priceline stacks up against the competition. Priceline doesn't show fares from Southwest.com. Delta has reportedly withheld some flight information from certain sites, too. Check their websites individually to make sure they don't have lower prices. When we limited our search to nonstop flights only, all of the sites evened out to the same price. In general, most sites will pull roughly the same prices. Priceline rarely gives you an edge on pricing on normal flights. But what about Express Deals? These flights require flexibility, so make sure you have it before committing. Remember, you won't know the details until AFTER purchase and these flights cannot be changed or refunded. 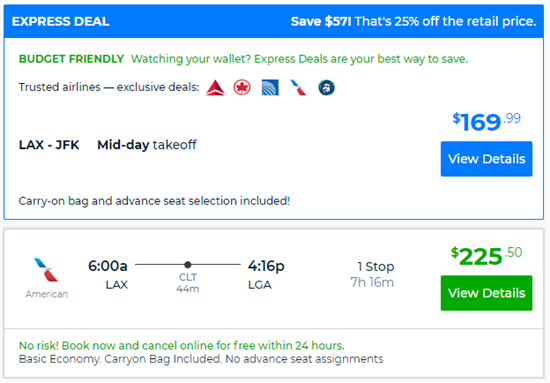 Click on the "Express Deals" link under the flight search bar. Put in your departure city, destination city, and travel dates. 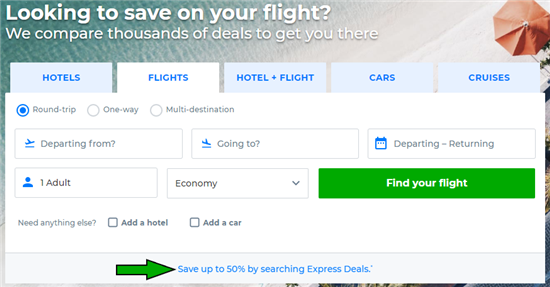 You might have Express Deals pop up, or the site might just give you a normal list of flight options. Express Deals will be shown with a blue box around the flight. If you don't see an Express Deal, you'll have to change your dates, or try searching again the next day (remember that deals change, so prices could go down or up and Express Deals are not guaranteed to stick around). You will not see a specific airline, the number of stops, or the time of your flights before you book (that's why the prices are so low). 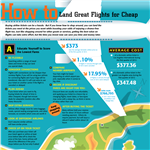 Choose the flight you would like and pay on Priceline's site. 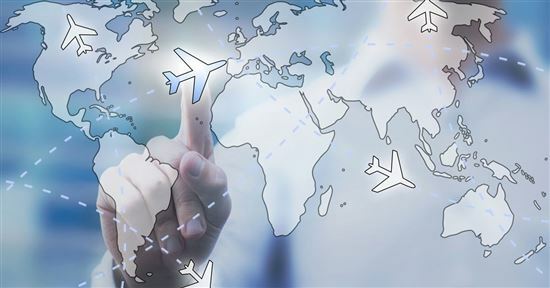 Once you've purchased your flights, Priceline will share the departure time and airline. Express Deals are usually found closer to your date of travel as airlines try to fill unsold seats. When it comes to opaque booking options, Priceline's "Express Deals" primarily compete with Hotwire's "Hot Rates." Priceline has a slight edge. And our research has shown that Priceline's Express Deals are significantly easier to find than Hotwire's Hot Rates. Click the "Hotels" tab on the homepage. Enter your desired city, destination city, and dates. Priceline will display available options. 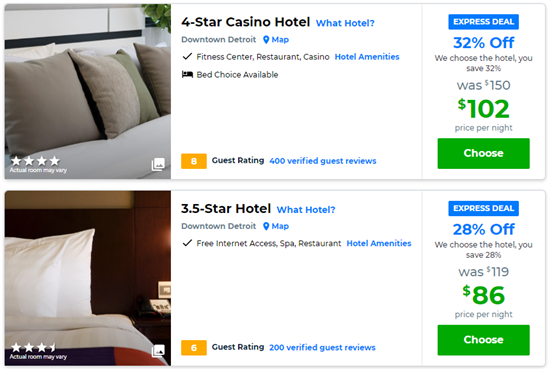 Use the filters on the right-hand side to tailor your search by number of stars, neighborhood location, amenities, and hotel brand. Select the hotel you want and pay on Priceline's site. You can also view Priceline's "Express Deal" hotel offers while searching for hotels normally. They are highlighted by a blue box. Priceline doesn't include taxes and fees in the price you see. Make sure to factor these costs into your search so you won't be surprised at checkout. *A split rate means they give you 2 separate reservations, and you may have to change rooms in the middle of your stay. A split rate can save you some money. These websites often a better deal than the hotels themselves. But the price difference across OTA sites is pretty small. Rules for changing or canceling your reservation vary by hotel. Some require upfront payment, others ask for a small fee upfront. Still others allow you to pay once you arrive. Read the hotel's terms BEFORE you book. And remember: Express Deal bookings are always non-refundable and non-changeable. You can book an Express Deal for a hotel. Just like with flights, you won't get the specifics of your booking until after you pay. On the Priceline website, on the "Hotels" tab, click the "Express Deals" link under the search bar. Type in your destination, travel dates, and the number of rooms you need. Click "Search." You'll see a list of Express Deals that you can choose from. These will not tell you the name of the hotel or its address. Use the controls on the left side to filter by star rating, neighborhood, and amenities. You can also sort the list according to guest rating. Choose the hotel that fits your needs and pay right on Priceline's site. Once you pay, Priceline will tell you the name of the hotel, its exact address, and the type of room (two double beds vs. one king bed, for example). Again, no changes or refunds are allowed. Search for your city and dates of travel. Look at the general prices for the hotels in the neighborhood and star rating that you want to book. Find a hotel that has a "Name Your Own Price" link. Place a bid on how much you would like to spend. This takes a little research; if your bid is too low, the hotel can reject it. Use the prices you viewed while searching as a guide. 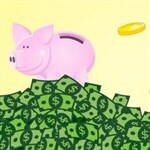 Or check out a site like BetterBidding for insight into how much to bid. You can submit multiple bids to multiple hotels. Wait to see if a hotel accepts your bid. If it does, you are locked into that rate. If it doesn't, you can submit another bid to that hotel after 24 hours. The Name Your Own Price Tool might not be around for long. With the increase of instant booking, the demand for bidding, waiting, and maybe bidding again is shrinking. Fewer hotels participate in the Name Your Own Price Tool. But offers for Express Deals are on the rise. Click the "Cars" tab on the homepage. Enter your pickup and drop-off location and dates. Priceline will pull your options from virtually all car rental agencies. Read the fine print on any car rental. Each company has different policies on restrictions or changing reservations. Make your pick and pay. Priceline charges taxes and fees that aren't reflected in the prices shown. Check out the smaller-sized "Total Price" listed under the price per day for the total cost you'll pay. You can't exclusively search for Express Deals for rental cars. But you might come across one in your search. Priceline tells you the style of car, but not the specific model. Remember, Express Deals cannot be changed or canceled. How do Priceline's car rental deals stack up against the competition? Read on. **Secondary coverage means that you have to file a claim with your car insurance company first. Then the credit card/Priceline will cover whatever your normal insurance doesn't. 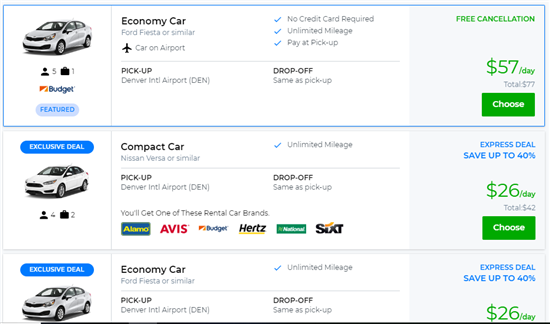 To take advantage, pay for your Priceline car rental with one of the credit cards listed above. You will have to decline the rental agency's CDW and Priceline's CDW. Credit cards won't cover rentals in all countries and for some types of cars (like exotic or high-end models). Read the fine print - it might allow you to skip buying insurance from the rental car company. Priceline also offers great cruise deals. Again, it's better for a cruise line to fill a room at a discount than let it sit empty. Follow these steps to book. Go to the "Cruises" tab on the Priceline website. Search by dates, specific cruise lines, types and length of cruises, and departure cities. Pick from a range of rooms on different cruise lines. While you will find deals, Priceline doesn't offer Express Deals or opaque booking for cruises. You'll always see the specifics of your room and cruise line. Some cruise lines will offer extras, like travel credits to use on activities or free specialty dinners. Hotels and cruise lines can see if you have booked via Priceline versus directly on their website. While staff won't treat you differently, they may be less willing to offer upgrades or perks. Those are typically reserved for those who paid full price. So unless you're super nice and you come across a generous staff member, don't expect upgrades. 5X the points on all Priceline purchases. That means for every $1 you spend, you'll get 5 points. 5,000 bonus points after your first purchase. 10% of your points back after you redeem points through Priceline. The Priceline Rewards Visa card has no annual fee. Priceline pulls prices similar to other OTAs and metasearch sites. Express Deals are almost always cheaper than what you'll find on a specific airline/car rental agency/hotel site. But remember, those deals lock you in without the ability to change or cancel your reservation. Another comparison is between opaque booking options found only on Priceline (Express Deals) and Hotwire (Hot Deals). Priceline's Express Deals on flights are generally $15-$40 cheaper than Hotwire's comparable "Hot Rates." Priceline has more Express Deals on flights. Hotwire has more Hot Deals for hotels and rental cars. Priceline has better prices for their Express Deals on rental cars. Again, these comparisons aren't perfect, but they offer a general idea. It's worth checking both Hotwire and Priceline if you want an exhaustive search on the cheapest options. 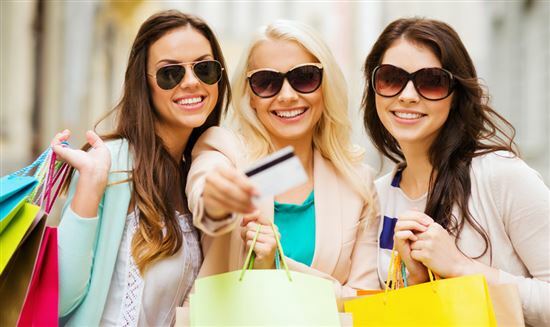 You can find deep discounts on everything from flights to cruises through Priceline. Use it as one of your first stops when booking cheap travel, especially if don't need to rack up program-specific points. Leave a comment about Priceline Flights: What You Need to Know?